Zeev Bar-Sella was born in Moscow (1947) in the family of the colonel of the General Staff. He studied at the Moscow University (Department of Classical Philology) and at the Institute of Foreign Languages ​​(German faculty). In 1973 he immigrated to Israel. Graduate of the Hebrew University (Slavic Studies Department). Member of the First Lebanon War (1982 – 1985). The author of “Research in the field of historical morphology of the Eastern Caucasian languages ​​(Problems of Archaisms and Innovations)”, Makhachkala, 1974; “Master Gambs and Margarita” (co-authored with Maya Kaganskaya), New York – Tel Aviv, 1984; “The literary pit: The project” Writer Sholokhov”, M., 2005; His book “Alexander Belyaev” (M., 2013) won the prize of A. and B. Strugatsky and Belyaev prize. 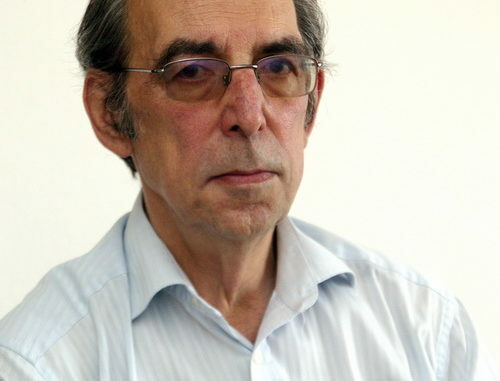 Zeev Bar-Sella’s book “Babel’s plot” was published in Moscow in 2018. Lives in Jerusalem. Why did cultural studies appear? Because their object (literature, theater, painting, music etc.) has completed or is completing itself before our very eyes. Previously, writers were visionaries, they opened the future to us. It is no more. There are no prophets, no utopias, no even anti-utopias that anyone would believe. We have nothing to teach our children, because the experience that we ourselves rely upon is invalid for them.